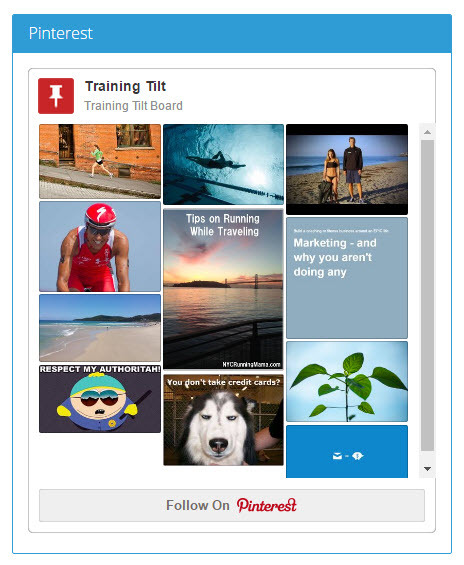 We've created a new widget to show the latest pins from one of your Pinterest boards. To set up the widget. Go to the platform settings page and paste in the url to the Pinterest board you want to display in the widget. Now you can turn the widget on under the widget settings tab on the platform settings page. Your widget will now appear on the areas you selected. You can now add links to your Pinterest, Instagram and Youtube channels which will appear of buttons on the bottom of your home page. You can simply add the links to the general tab of your platform settings. It's now possible to add more granular security to allow different groups of your members to have access to different features on your site. For example you can allow your premium clients access to all the features and restrict your online only clients to have access to only a subset of those features. The security is based on group membership. Go to the "Feature Security" option of the admin menu to configure the security.